A big apology for taking so long to write an update. Okay, so I have no real excuse other than being rather busy. What have I been doing since February? Last month I complete the final unit of the Master of Arts (Writing) at Swinburne University of Technology. Hard to believe it gone so fast. I started the Masters in 2012. The very first unit inspired me to dust off the novel I’d written decades ago, and start again after a long break from writing fiction. Now, three and a half years later, I have four books close to or beyond first draft, a few others plotted or started, and countless poems and short stories written. I’ve made a bunch of new friends, discovered a whole community of writers and learned so much about the craft. It has been, as they say, a blast – and is only just the beginning of my writing journey. I was thrilled to learn that two of my poems Thunderstorm and Floating will be published in Poetica Christi’s 2015 Inner Child anthology. The launch of the anthology will be on Saturday July 25th at the Lutheran Hall, 711 Station St, Box Hill. It’s a bit far for me to travel but I can’t wait to get a copy of the anthology in my hands. Copies will be available at the launch or directly through Poetica Christi. ‘Broken Promises’ – part of the Barrakan Tales set in the Northern Hemisphere of Nardva – is to be published in a historical themed anthology by past and current Swinburne students called Another Time, Another Place to be published this year. ‘Ruhanna’s Flight’ – connected to the Tamrin Sagas – in Glimpses of Light anthology to be published in November this year by By the Light Books in conjunction with Christian Writers Downunder. I’ve been involved in the editing and publishing Glimpses of Light and Let the Sea Roar. I’m also hoping to release on Kindle my short story / short novella Heart of the Mountain later this year. I am following up professional edits on Akrad’s Children. I’ll post publication details once they become available. This July I’ve teamed up with some friends to form 2 cabins in the July Camp NaNoWriMo. This is a cut-down version of the NaNoWriMo challenge. For one thing, you can set your own goals. And NaNo rebels are not frowned upon. I decided it was time to finish Mannok’s Betrayal (the third in the Akrad’s Children‘s trilogy). I’ve been working through gaps that need filling in, and editing. Following the rubric – one hour of active editing equal 1000 words, I’ve done 21700 words in the last 12 days – and have had to increase my goal from 20,000 to 25,000 to 30,000 words. I’m thoroughly enjoying immersing myself in the story and loving it. I had to tear myself away from the Five Lands to write this post. Well that’s enough about me for now. 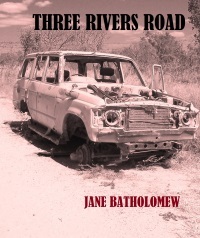 I would however also like to give a shout out to my friend ‘Jane Batholomew’ – who has written an Australian contemporary drama Three Rivers Road. This is not a Young Adult book. It follows the adventures of a nurse in the remote communities in the Kimberley, Western Australia – and gives insight into the people, the challenges and the landscape. It includes romance and drama but doesn’t sugar coat the realities. ‘Jane’ draws from her own experiences of nursing in remote communities across Australia. You can purchase a copy here. As you can see, quite a lot has been happening. I’ll won’t wait so long next time to give you the news. 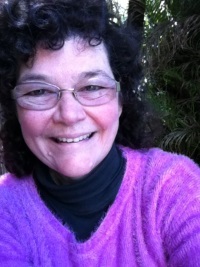 And once I get the chance to catch my breath, I’m planning to put another short story in from the Tamrin Tales on this website – this time following Haka or Rokkan’s perspective – as requested by our Scavenger Hunt winner. Posted in News and Events	| Tagged Akrad's Children, Akrad's Legacy series, Another Time Another Place, Barrakan Tales, Camp NaNoWriMo, Glimpses of LIght anthology, Heart of the Mountain, Jeanette O'Hagan Writes News, Let the Sea Roar, poems by Jeanette O'Hagan, Poetica Christi Inner Child, Tamrin Tales, Three Rivers Road by Jane Batholomew.